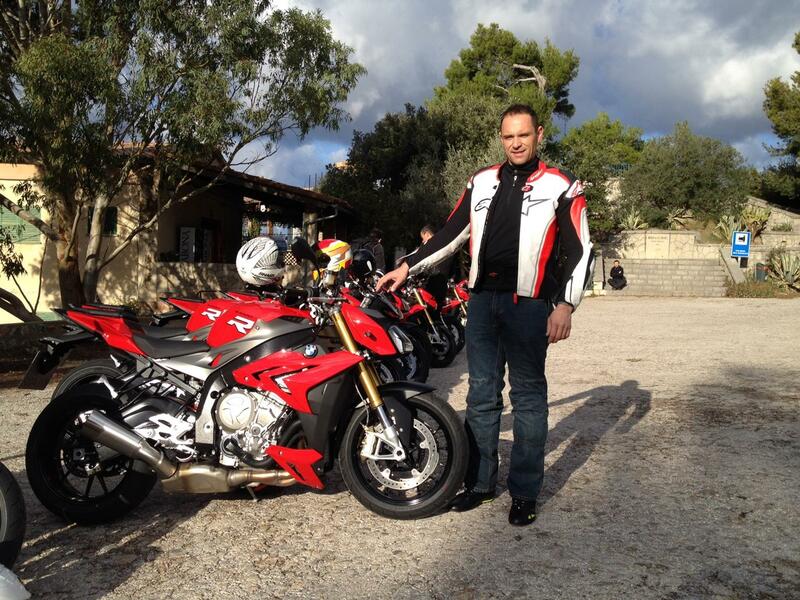 MCN is at the world launch of BMW's new £9990 S1000R super naked in Mallorca today. Senior Road Tester Michael Neeves will ride the new machine, which is a naked version of the German firm's fire-breathing, race-ready S1000RR. It has the same 999cc inline four-cylinder engine, but power is trimmed to 160hp @ 11,000rpm and 83ftlb @ 9250rpm to make it more manageable for the road. Sharing the RR's chassis, the steering geometry is slightly lazier and the wheelbase longer, for extra stability, comfort and traction. Kerb weight is 207kg. Two riding modes, Racing ABS and stability control come as standard, but a 'Riding mode Pro' option is available, which includes two more riding modes, traction control and a lean angle sensor. 46mm forks are adjustable for rebound and compression damping and the rear shock is fully adjustable, but there's a semi-active suspension Dynamic Damping Control (DDC) option, first seen on the HP4. Radial Brembos are the same as the RR's, but the instruments, styling and riding position new, with a 16mm lower seat. Optional accessories include everything from heated grips and cruise control, to a full titanium Akrapovic exhaust and an HP datalogger. Read the full road test in MCN on Wednesday.